Buildings are so inspirational. They’re a beautiful mix of art and science. But buildings can be frustrating too. They can carry so much ignorance, irony and tragedy when they are poorly designed. This lack of common sense has created a world where buildings devour 33% of its energy and produce 25% of the world’s greenhouse gas emissions. Why do so many buildings look the same across the world? Why are they not built with their climates in mind? And what will it take to get building sense now? These are the questions that building professionals must be able to answer. We need to have a dialogue around how we can make sure that design teams across the world have a critical role and a way to achieve scale. We must better understand the challenges to find solutions to pushbacks, including a lack of control, low client interest, and unclear incentives. Coming from India, I’ve seen many changes in my lifetime. They have been somewhat good changes. Urbanization has meant a better education and a better life for a lot of us. But what it also means is that a lot more buildings are being built. As personal income rises and the middle class is growing, the use of air conditioning is going up, leading to greater energy demand. The sale of air conditioning units jumps 20% annually, with upwardly mobile Mumbai estimated to have the same potential cooling demand as a quarter of the United States. If India were to use as much air conditioning as the West, then we will be destined for a six-degree warmer world! In the past, people knew what to do. They had good vernacular architecture with courtyards and high ceilings with ceiling fans. Because of the lack of power, we had to improvise in many ways. With today’s increase in population and the shift towards cities, buildings are going to have a big impact. In an urban environment that is dense, hot, humid, dusty and noisy, what tends to happen is the simplest solution. The inclination is to shut it all out with glass walls and shield yourself with air conditioning. Air conditioning leaks out heat into the environment and then you need even more of it to compensate for escalating temperatures. Where do designers play a role in this? I think it’s critical, through design, that we find a new vernacular. We need a climatic and culturally appropriate language for our cities to find the right balance. It’s not about not using air conditioning. It’s about finding the right balance between when you need it and when you don’t, to establish the right mixed mode. That’s only possible through good design, good shading, good lighting and good glass, as well as managing cooling properly. A lot of work has been accomplished by governments to ensure better buildings – the financial sector is also getting into this space – but somehow the design community isn’t sufficiently engaged, which is very surprising. Think of it in this way: if you’re having an important medical intervention, the doctor is key. In the same way, the architect is the custodian of the building and determines how intelligently it will be designed. Architects care deeply about the built environment. They get a lot of joy from their work. If they can visualize the value they create, participate actively and foster a community, they will have a greater leadership role than they have ever had before. Clients must in turn do their part to identify the right incentives such as performance-based contracting and awarding choice projects to those who are most deserving, to encourage and celebrate good design. As an architect working in a financial institution, it made me realize that I was blind to the pain the client faces when it comes to raising the finances to construct the building and their anxiety over return on investment. Architects can communicate to their clients the financial benefits of energy conservation and provide examples of their own projects where the property value has increased. For example, if the property can save 1% in running costs, the commercial value of the property goes up 10%. The motivation shouldn’t be out of responsibility or guilt, rather it comes from a genuine business model. Architects, therefore, can be a great driver early in the building’s lifecycle. Architects must develop new skills, knowledge and attitudes to support green design. Only then will it be possible to design a building that is inspirational in every way: financially, environmentally and esthetically. A thought leader and an expert in sustainable built environments and cities, Prashant Kapoor is a passionate advocate for sustainable solutions that align the interests of developers, financial institutions, governments and homeowners. He leads the IFC’s global investments in the built environment with a particular focus on financing low carbon developments, sustainable cities and green financial products such as green construction bonds and green mortgages. He is the entrepreneur who created EDGE (“Excellence in Design for Greater Efficiencies”), a universal standard, software application, and certification system to mainstream resource-efficient building growth in emerging markets. Since 2010, Mr. Kapoor has provided dynamic guidance for IFC’s global green building program on both the regulatory and voluntary fronts. Under his leadership, IFC has created a green building portfolio of commercial and residential buildings that totals nearly $3 billion, both directly and through financial intermediaries. He has played a critical role in developing the national green building codes for Colombia, Indonesia, the Philippines and Vietnam. 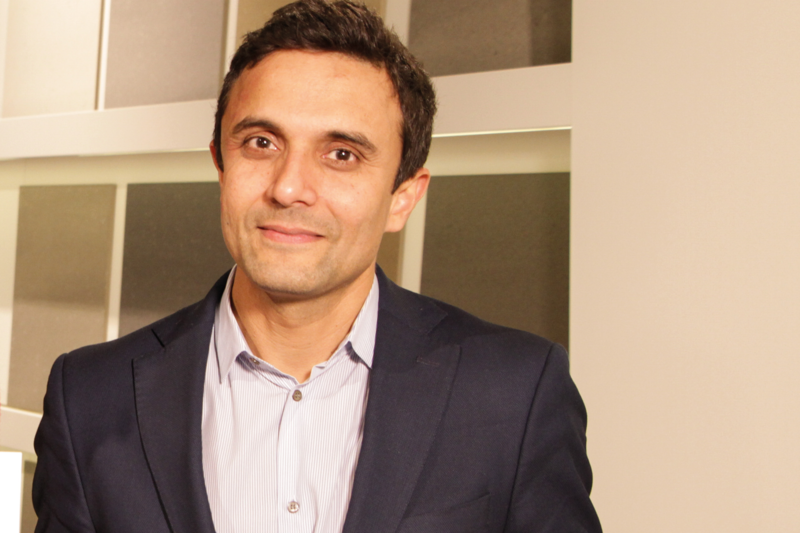 Prior to joining IFC, Mr. Kapoor worked as a director at WSP consultants in London, where he led the planning of Masdar City, an innovative zero-carbon city under construction in Abu Dhabi; developed a strategic Urban Development Framework for Dubai city, including designing a new green building regulatory system; and created various pathfinder low-carbon property programs such as, Graylingwell Park, a zero carbon housing development with combined heat and power plant and the largest PV installation in the UK. Mr. Kapoor holds architecture degrees from Manipal Institute of Technology (India) and a master’s degree in energy-efficient building from Oxford Brooks University (UK).